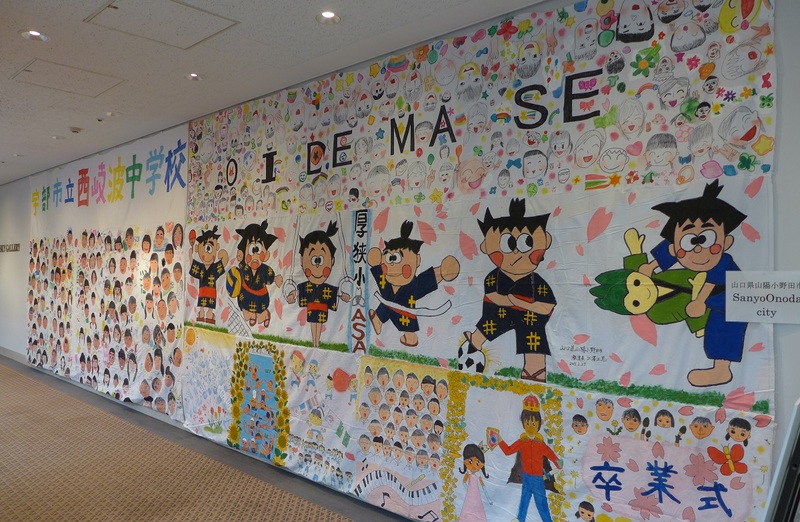 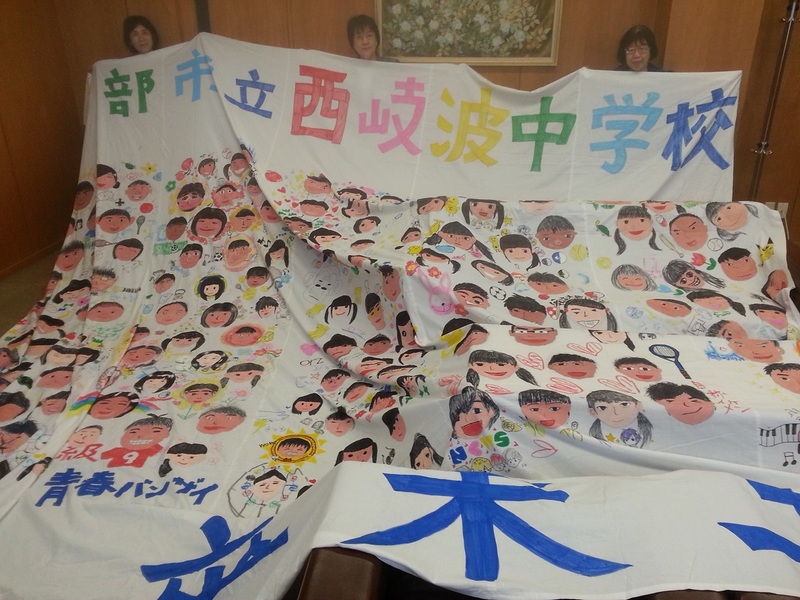 Received the Biggest Painting in the World 2020 in Ube City from the school board chairman of Ube City, Yamaguchi Prefecture, and the school master of Nishikiwa Secondary School, the pupils of which had painted the picture. 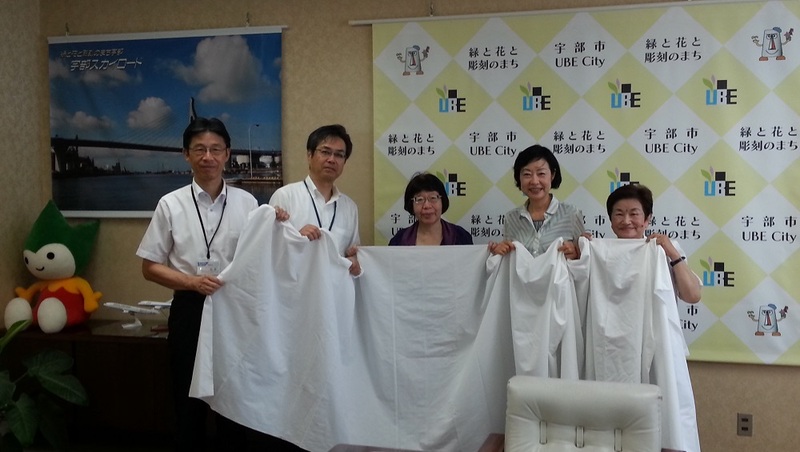 Mr. and Mrs. Minoru Ishimaru, a representative of the Biggest Painting in the World 2020 and his mother, Mrs. Ishimaru, Hofu City councilor, guided me to a city hall of Ube City, Yamaguchi for a courtesy visit. 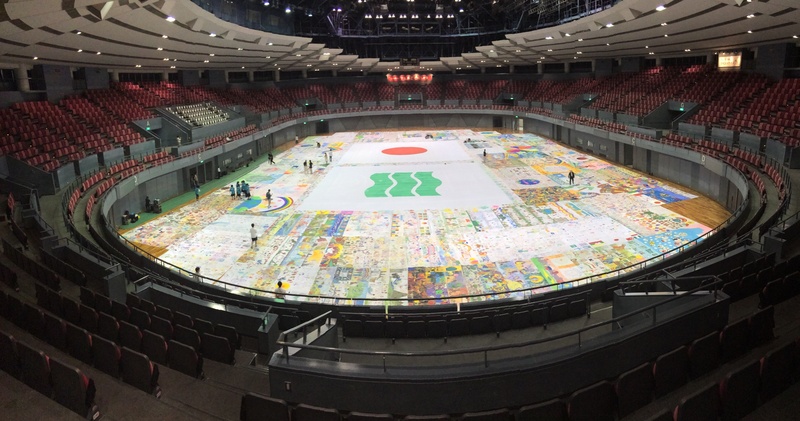 They approve of the Biggest Painting in the World and handed cloth to them.